Established in the S. Florida Area in 2003, AAA Century Appliance LLC has continuously gained the trust of our customers' by offering the very best value and service for their appliance needs. We are one of the premier appliance repair companies operating in Palm Beach, Broward, and Miami/Dade County because we believe in recruiting the best Technicians' and Professional Office Staff, which enables us to offer our clients' an exceptional service experience. We are committed to raising the bar in our field. One of the ways AAA Century Appliance LLC has challenged the way a typical appliance repair company operates, was by conducting a survey asking the general public in Dade, Broward, and Palm Beach Counties, what they would like to see change in the Appliance Service Industry? "What is a Service Call Fee or Diagnositc Fee?" send a Technician to your residence to diagnose a Specific Problem or Malfunction with the appliance. There are many advertisements that will claim "Free Service Call Fee with Repair". However, don't be fooled by a misleading AD. ALL APPLIANCE REPAIR & SERVICE COMPANIES WILL CHARGE A SERVICE CALL / DIAGNOSTIC FEE to send a Professional Technician to your residence to diagnose each Appliance. The fee is usually applied towards the cost of the repair, so many companies will claim it's FREE, but is it? We ask, "What if the technician finds your appliance is operating correctly?" "What if you decide the repair cost is too high and would rather buy a NEW appliance instead of fixing the old one?" So many "What if's" but always the same cost. 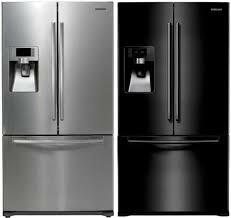 In 2014, we LOWERED our Service Call Fee TO ONLY $45.00 per appliance, in Broward County and $50.00 in Palm Beach and Dade County. This promotion offers our clients' the Security and Freedom to make the decision without the pressure of a HIGH Non-Refundable Fee. Please note: We do NOT provide ESTIMATES over the phone or via email. whether it is our company, or another company of your choice. The second most common complaint reported in the industry was the lack of PROFESSIONAL and POLITE service. When calling a Telephone Company, Bank, even local Grocery store, many consumers find the simple courtesy of "Please", "Thank you", and "May I.." are almost nonexistent these days. Although these are simple words, they still convey mutual respect and consideration which can make an ordinary interaction a far more pleasant experience. We have invested in many Customer Service and Effective Communication courses for our staff to participate in and comlplete. From our Technical Staff, Scheduling Department, Accounting Department, & Management Team, everyone is involved. The emphasis during training is on the "person-to-person" interaction that is missing in the Service Industry today. Many Corporations have reduced the customer service experience dramatically, which can often leave a client feeling like nothing more than a number or a dollar sign. 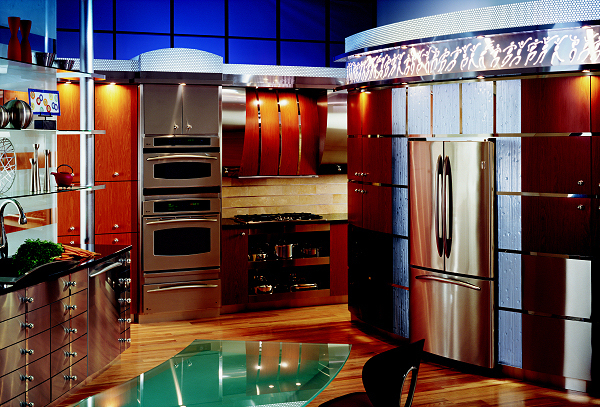 At AAA Century Appliance LLC, we recognize that you are a person with individual appliance needs and a budget. We have all types of clients; form private individuals, Landlords with Tenants, to large Property Management Companies that contact our various offices daily. We recognize that each client will have different questions and concerns so we strive to provide a more personalized experience. Everyone is "greeted" by professional, pleasant, and polite staff members who are ready to assist with you with genuine interest for your concerns. WE'VE MADE IT OUR MISSION..... to earn your trust by offering S. Florida Residents' Simple, Honest, Professional, service. IT IS OUR OBLIGATION.....to provide Competitive Pricing that reflects the nation's current Industry Standard. IT IS OUR HOPE.....that our clients feel comfortable & confidant to refer their friends, family, and colleagues' in the future. Daily Updates on Part E.T.A. **Technnicians are required to call 15 MIN before arrival, unless otherwise requested. This is for the Client to know the Technician is on the way and also for the Technician to know the Client is ready and available to meet with him. It is IMPORTANT that the Client answers the Technician's courtesy call, or is able to return the Technician's voice mail within 15 MIN, to ENSURE the technician will continue to travel to the residence. to REQUEST your Service Reservation Online!